New Coat of Paint? Who Dis? Cleanliness is next to godliness. In this case, clean refers to design, and what’s cleaner, crisper and fresher than black and white paint?! 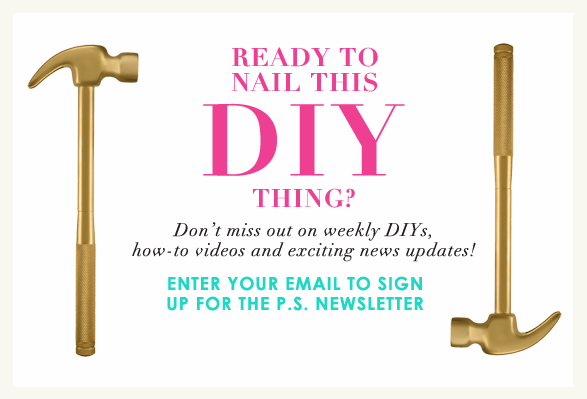 In the spirit of reusing, repurposing and reinventing, it was time to roll up the sleeves and reach for the perfect hues to breathe new life into an existing piece of furniture in my home that was really screaming for a makeover. Finding that perfect shade of white can actually be really difficult, as there are so many variations of the hue. Luckily, Amy Howard at Home has some amazing hues of white (Bauhaus Buff, used here) that are highly recommended. 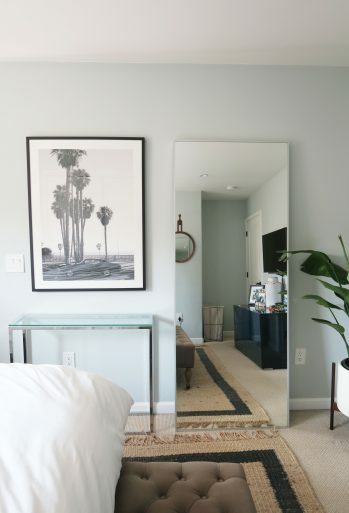 In order to update this piece, we called upon our friends at Ace Hardware, who carry one of our favorite brands, Amy Howard at Home. Please trust us when we say that their One Step Paint is perhaps on of the best paints that exists. Why? You ask… Well, it’s a chalk-based, water-based paint that doesn’t even require you to prime a surface (hence, the name One Step). 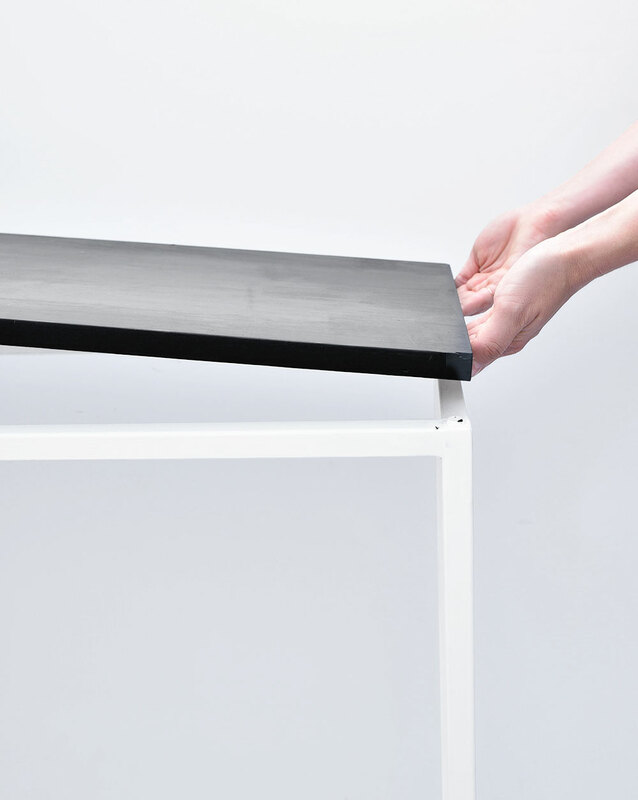 It adheres to pretty much any surface such as wood, concrete, iron, stone… you get the gist. I had the chance to learn all about Amy’s collection of white One Step Paint when I visited her Memphis workshop earlier this summer – and not only did I learn that Amy has the perfect white for this project, but that One Step Paint has zero VOCs (a la safe painting) and can be color matched to ANY color, piece or fabric or inspiration piece you have at your local Ace Hardware! I wasn’t looking to color match (this time), so I stuck to Bauhaus Buff and a classic Black One Step Paint. 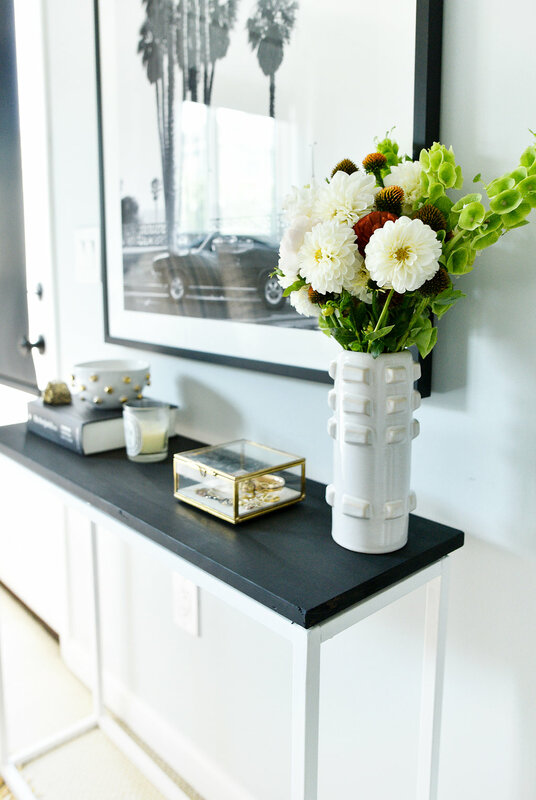 Although this paint is typically used on wood surfaces, my console table was begging for a transformation – and since One Step Paint adheres to almost every surface, it was the perfect solution. 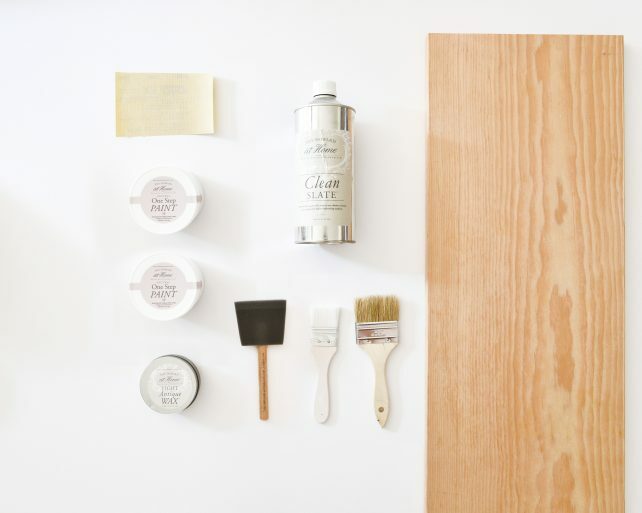 A few other ingredients needed for this: Clean Slate, paint brushes, sandpaper, a wood surface top, and light wax. First step, clean the entire surface that will get painted. 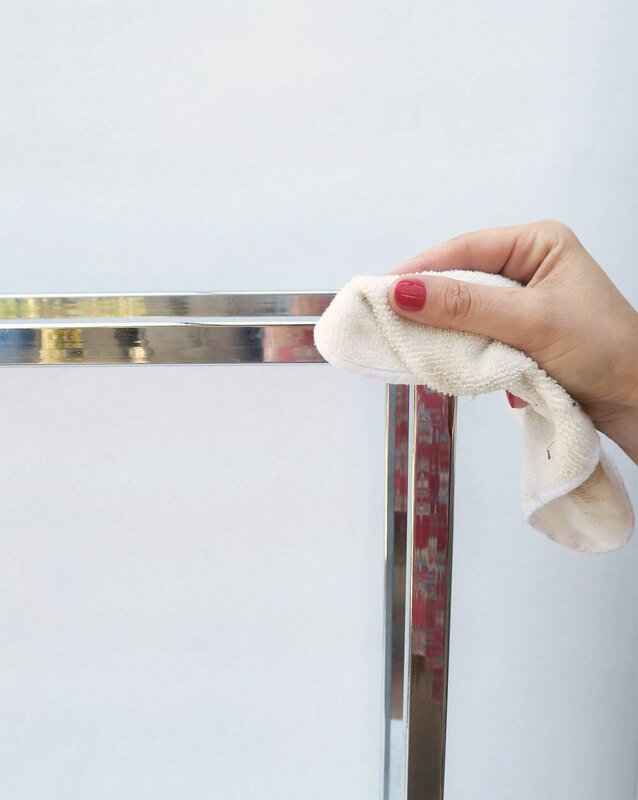 Use Clean Slate liquid cleaner with a soft cloth. 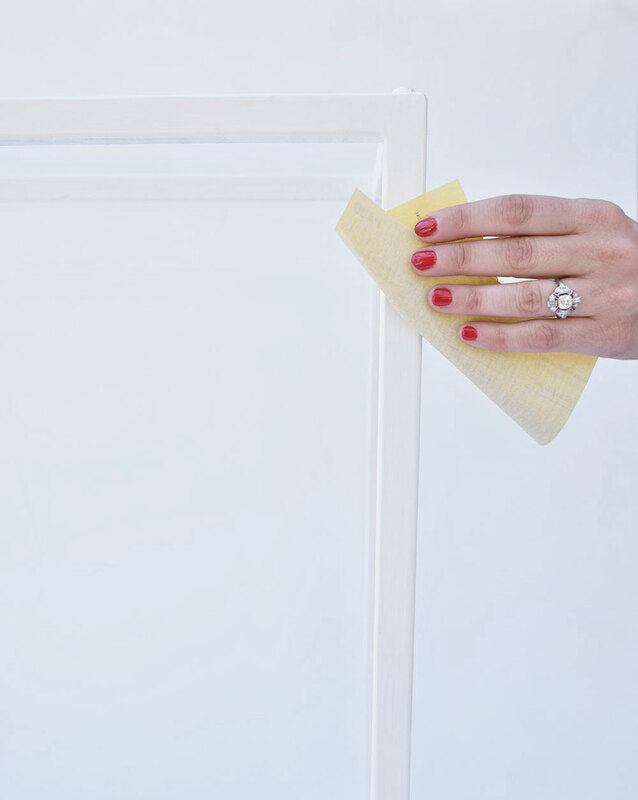 This will help remove any dirt, dust or grime. This is a very necessary step to take before you apply any paint. 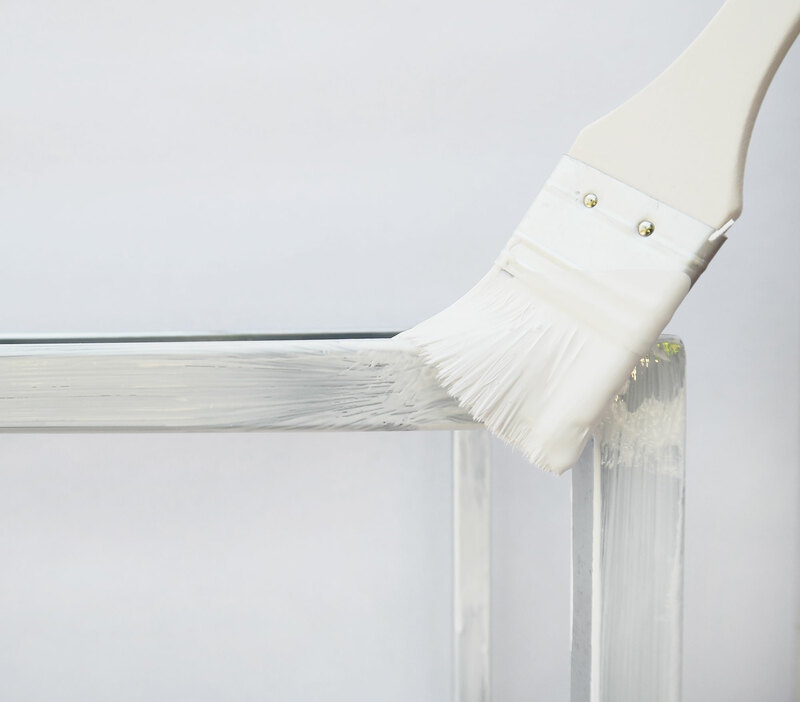 When applying the first coat of paint, be sure to use a brush with soft bristles and paint in one direction evenly. 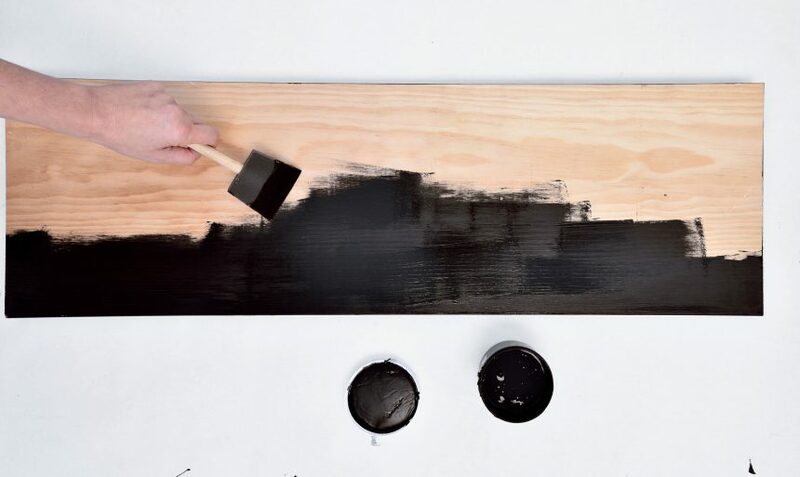 Once the entire surface has been covered with the One Step paint, let it dry completely. Nobody’s perfect, and neither is paint. You may need to use a very light sandpaper to go over the surface to smooth out in some areas. Be sure to use something like a 400 weight, as you don’t want the sandpaper to totally strip the actual paint down to the surface. 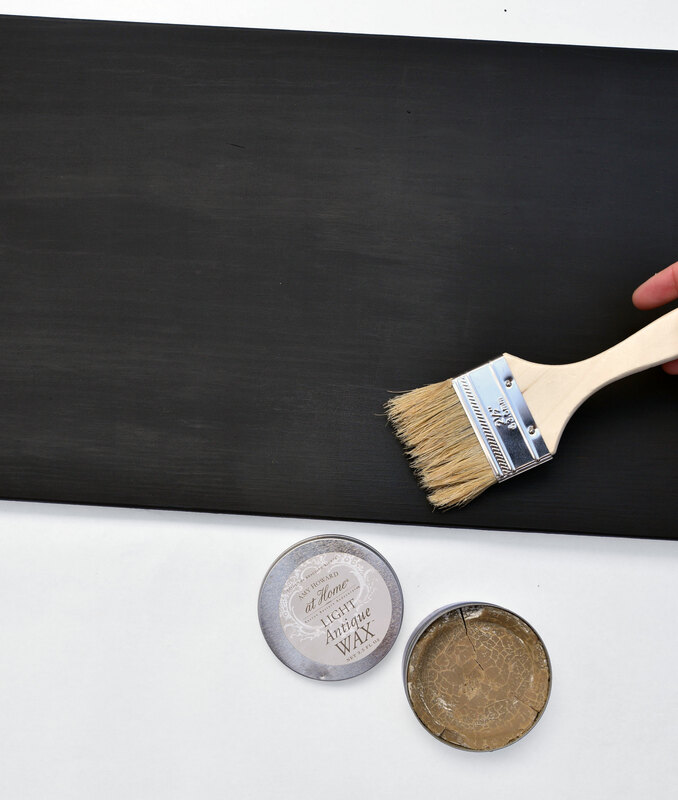 Using sandpaper will work with the chalk-based paint to help achieve that smooth, even consistency. Now, onto the console top! Wood, aka Mother Nature’s surface, is quite honestly one of the easiest and best materials to work with. For the tabletop, finding someone at a local lumbar yard to cut a piece of wood (P.S.- it was only $7!) is easy as pie. If you really want the wood grain to pop, I recommend purchasing oak. Apply two coats (I used the shade Black) in that even, one direction motion used on the table sides. This paint dries super fast. All you need to know. After two coats of the paint have completely dried, it’s time to seal and watch that great wood grain pop! 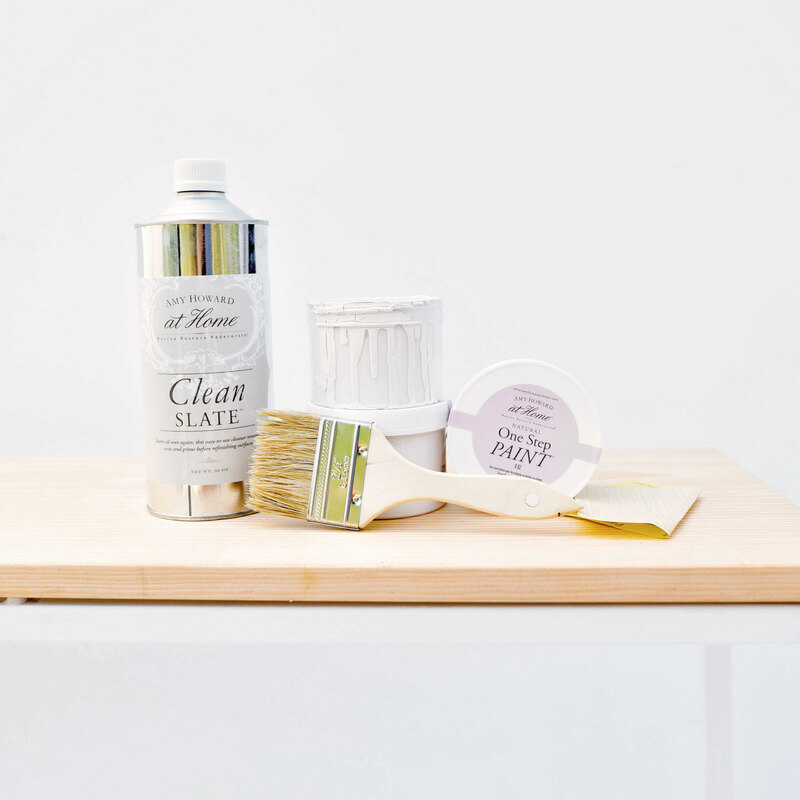 Add some wax to your brush, off load on a spare piece of cardboard and apply a thin layer of Light Antique Wax by simply brushing with the grain in a cross-hatch motion. This will make sure the coat of paint will not chip, and gives it a smooth finish that is smooth to touch while bringing out the wood’s best features. 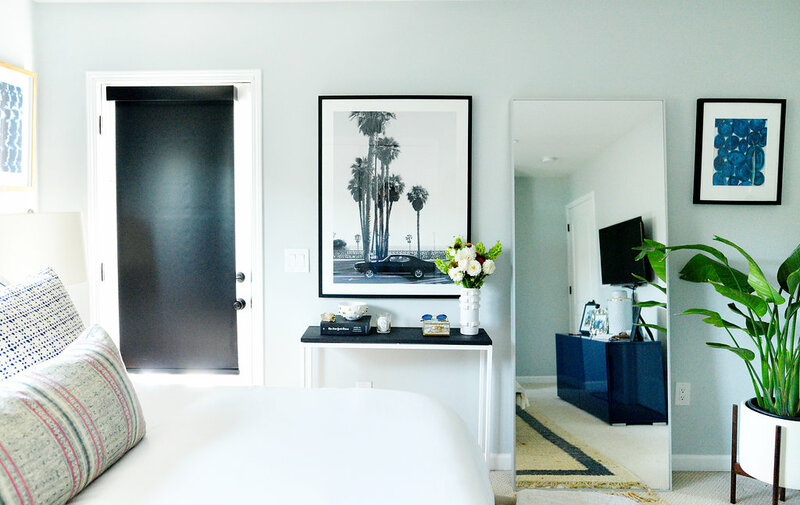 Ahhhh, the dreamy color combo of black and white! Voila! Paint goals after just a few steps! 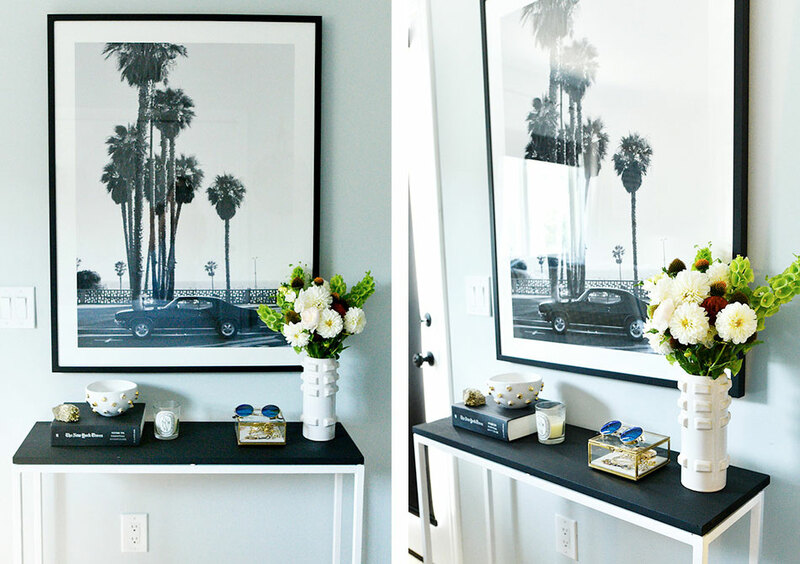 It’s truly amazing how a two coats of white and black paint can really transform something from old to new la la!